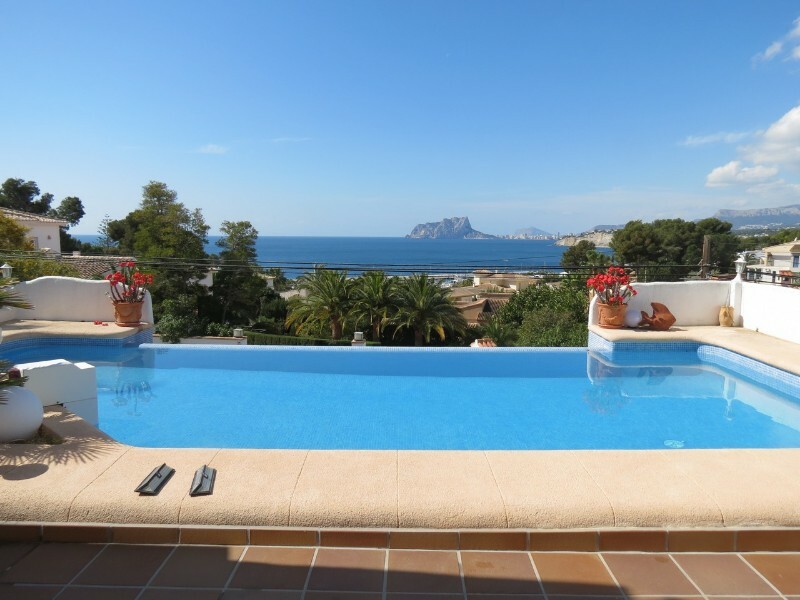 BEAUTIFUL HOUSE IN GATED COMMUNITY IN MORAIRA. 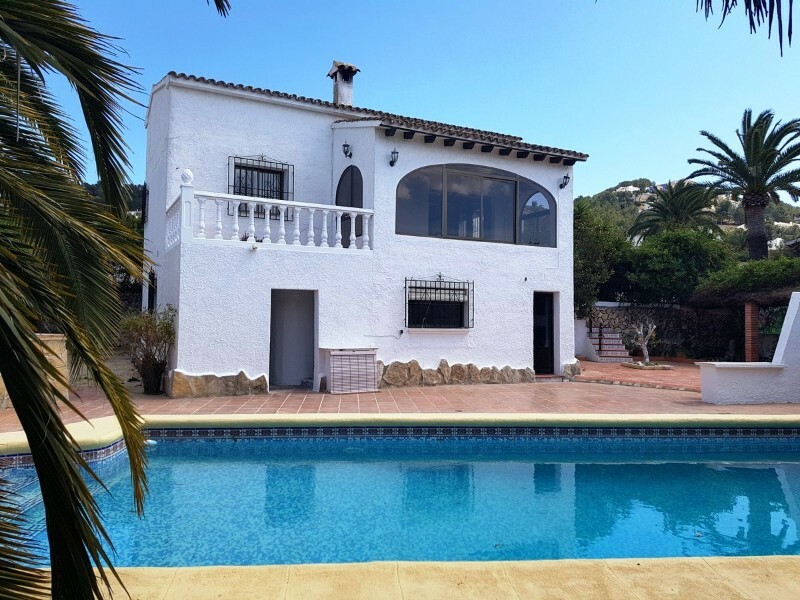 This wonderful property in the La Colina estate in Moraira, is found in a perfect area either to live year-round or for a holiday. You can enjoy the tranquility and comfort, surrounded by vineyards and countryside, in a very nice well-being area and near the services. The house is distributed in three floors. On the groundfloor you enter the hall and the living area. Dining room, fully equipped kitchen, guest bathroom, all with direct access to the terrace and the swimming pool. Also on the same floor there are two double bedrooms with en-suite bathroom. On the first floor we find two more rooms. Both with en suite bathroom and one with a spacious dressing room. From the master bedroom terrace, you will enjoy beautiful views of the vineyards and the sea. On the ground floor of the house there is a large garage, laundry and place for a small apartment for guests or entertainment area. Fully equipped with air conditioning and floor heating. A unique property and must be seen! !